Finding the right windows to suit your home and budget from a reputable supplier can seem like a daunting and complicated process. With a market full of window contractors offering the ‘best replacement windows’, it is easy to get a service that simply doesn’t meet your expectations. At Window Advice Centre, we have worked tirelessly for 37 years to help consumers navigate this often unclear industry in order to find the best windows to enhance their homes. 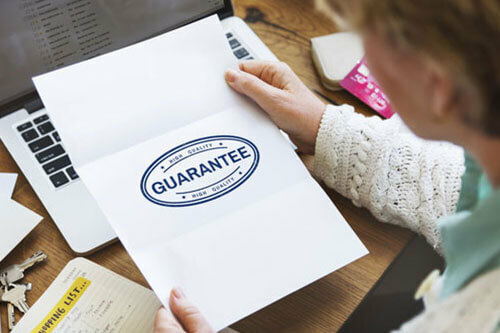 We endeavour to provide a service that truly benefits our customers, by using certified experts and a unique tendering system that has been tried and tested over many years. If you are in need of replacement windows in Edinburgh, let us offer you our expert and impartial services. Click the ‘Book a Survey’ button or call us on 0131 516 9623. To find out more about replacement windows, read our helpful guide below. Whether your home’s style leans more towards classic or contemporary, there is undoubtedly a window style that can beautifully blend in with your property aesthetic. From sash to bay windows and beyond, we take a look at some of the most popular replacement window styles below. Practical and stylish. Casement windows are incredibly versatile, with efficient mechanisms that offer good ventilation and smooth functioning. These windows operate with one or more hinges, with which the window sash swings open and closed. Great for insulation, casement windows are widely known for their efficiency, with a reliable seal that prevents drafts. For wood or vinyl casement windows in Edinburgh, contact us for a consultation on 0131 516 9623. The classic beauty of sash windows has long been admired in homes across the UK. A common feature of period style properties, sash windows are an elegant addition to any home. Available in a range of styles and sizes. For style and energy efficiency, opt for double glazed sash windows. At Window Advice Centre, we can find the best timber and uPVC sash windows to suit your property. Modern tilt and turn windows offer simplicity, functionality and style. Thanks to their dual opening mechanisms, they are often highly sought after in contemporary homes. These versatile windows can be custom made to fit your property’s specifications. Perfect for homes in need of good ventilation and with restricted space. Tilt and turn windows are also easy to maintain and keep clean. Beautiful bay windows offer wide, extended views and bring in more natural light than other window styles, immediately enhancing the look of a property. These Victorian style windows are durable and simple to maintain. Available in a wide variety of designs and finishes, bay windows look great in any property. Plus, with the added benefit of extra space, they are growing increasingly popular among homeowners. We can help you find reputable and professional bay window installation experts in Edinburgh. Get in touch to learn more. Windows today are available in an enormous range of styles, colours and finishes. You can even get custom windows designed. Speak to a member of our expert team to find out more. Or, book your free consultation and we’ll find a local, reputable supplier that can meet your specifications for replacement windows. For timber or uPVC windows in Edinburgh, call or email us today. A significant consideration when it comes to updating your property should be its energy efficiency. By improving the energy efficiency of our homes, not only can we save money and enhance the comfort of our space, but we also do our part towards reducing our carbon footprint. Installing replacement energy efficient windows is one of the most effective ways to make your home more environmentally friendly. In the UK, fossil fuels account for over 80% of the energy we use. Our carbon emissions in 2017 were over 367 million tonnes. By using less energy to heat our homes, thanks to energy saving windows, we can substantially reduce our carbon emissions. 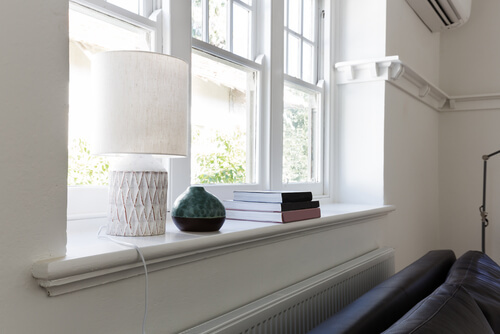 Double or triple glazed windows are the most efficient windows, compared with single glazing, through which energy provider comparison site USwitch estimates up to 20% of our homes’ heating energy is lost. 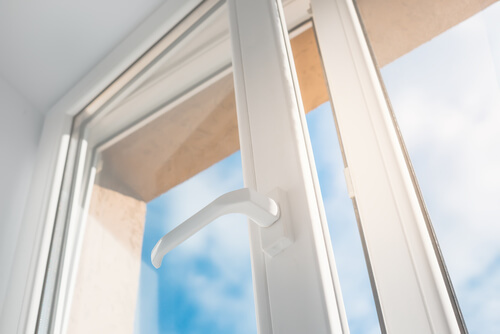 What makes double glazing so efficient is the extra layer and the compressed air or gas that is trapped between the two layers, providing better insulation. 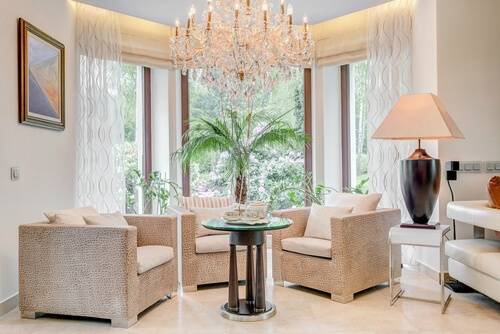 The best window suppliers use low emissivity glass, known as ‘Low-E’. This is glass that is coated on one side of the panes with a metal oxide. The coating allows light to pass through easily while preventing heat from escaping, making it ideal for double glazing. For the best energy efficient replacement windows in Edinburgh, come to Window Advice Centre for honest and impartial advice from the experts. Replacing your windows is an important investment in your property and therefore it is a decision that should be taken with great care and consideration. The cost of new windows can vary hugely, as can the quality of service you’ll receive. It is vital then that you find the best price for your replacement windows from the most reputable suppliers. By getting a window replacement estimate from several companies, you can determine the most affordable price. However, this does not necessarily reflect on the quality of the finished product, nor the level of service you can expect. Many will know that lower costs often mean you are sacrificing on quality, which may cost you dearly in the longer term. Cheap doesn’t always mean you are getting a good deal. Fortunately, with Window Advice Centre, we can help you find the best window suppliers in Edinburgh, at the best prices. After a thorough initial survey from one of our expert window consultants, we will provide you with a tender report featuring a list of up to 10 suitable glazing contractors along with itemised costs. The contractors invited to tender are able to pass on their lowest costs to you, thanks to our expert consultation and tendering service. You can ask for our advice at any time. For over 37 years we have been offering honest, impartial advice and replacement windows comparison to homeowners across areas across Edinburgh. In a competitive buyers market, sellers are doing everything they can to make their properties more attractive to potential buyers. Taking steps to add value to your property is an important investment if you’re looking to sell in the future. Replacing your windows with newer, high-quality windows is a great investment in adding value to your home. New windows first and foremost improve the look of your property. They provide a needed refresh to the look of both the exterior and interior of the house, providing added curb appeal for potential buyers. Replacement windows will also make your home more energy efficient than older windows. 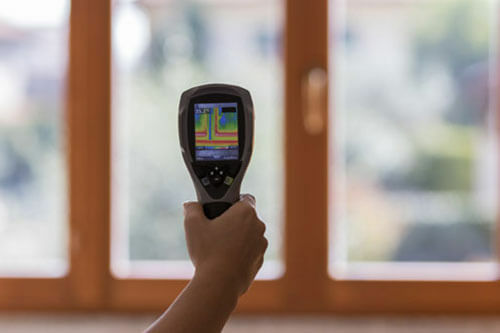 This, in turn, should improve your home’s Energy Performance Certificate (EPC), something that buyers are increasingly looking at when deciding whether to put an offer on a property. Thirdly, by replacing your windows, potential buyers will see a home that has been well maintained and properly cared for. 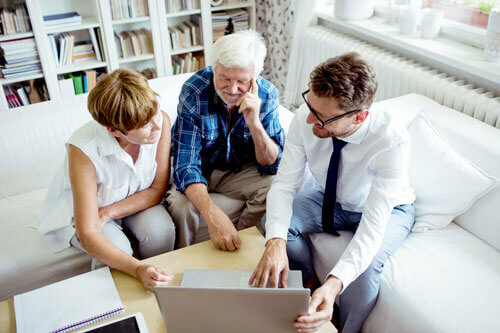 This helps to instil confidence in buyers, as a cared for property is less likely to have any hidden problems they will be forced to deal with later down the line. Experts have estimated that replacing your windows can give up to 10 percent added value to a property. If this is indeed the case, replacement windows can provide a substantial return on investment. Learn more about adding value to your home with replacement windows in our recent blog post. Good quality windows can last for several decades. Whereas, others can last less than 10 years. It is not always clear when your windows need replacing. The older your windows, of course, the more likely it is they are due an upgrade. If you are unsure, read on for signs to look out for to determine when to replace your windows. While a beautiful, versatile material for windows, timber, when not properly cared for, can wear down over time. Water damage is particularly common with timber window frames. You can check the condition of your timber windows by gently pressing down on the frame with a flat-blade screwdriver. If the wood is softened by rot or water damage, the tip of the screwdriver will go easily into the wood. Over time, window mechanisms can wear and grow stiff. 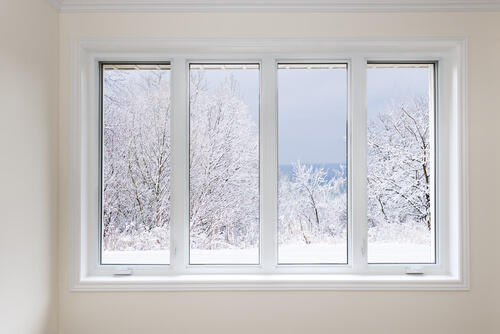 If you sometimes struggle to open or close your windows, they may need to be replaced. You should be able to operate your windows smoothly and with ease. Window seals can become less effective after a period, thus being able to stop fewer drafts from coming in. You might notice that rooms feel colder, or experience cold spots near the windows. A good way to check this is by holding a candle close to the window frame and moving it along the edges of the windows. If the candle flickers, this signifies a draft. To ensure your home is properly insulated, you should replace old windows that let in drafts. 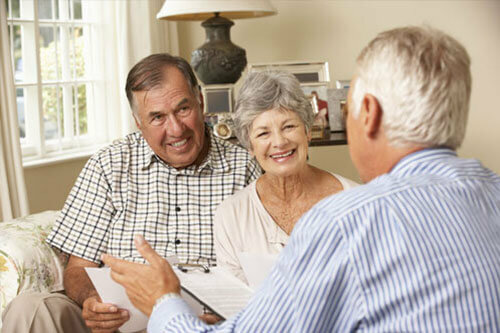 Get an expert consultation on whether you need to replace your windows from impartial consultants at Window Advice Centre. Call us on 0131 516 9623. Transform the look, comfort and energy efficiency of your home with replacement windows in Edinburgh. Trust Window Advice Centre to help you get the right windows for your property. With our knowledgeable, impartial experts from across the fenestration industry, we are ideally placed to assist you. Call or email us to speak to a friendly member of our team today. We also source replacement windows in Glasgow, Dundee, Perth and Stirling. For stunning sash windows in Glasgow or quality uPVC windows in Glasgow, visit our page or contact us to find out more.